Everyone loves to squat. This you already know. It’s not only a great reflection of your strength and power, but also serves as a measuring stick to see how far you’ve progressed in those areas. 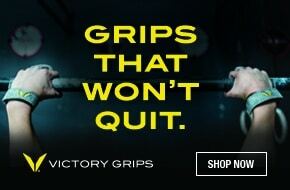 You can literally see it right in front of you by the steady increase in the bumper plates that adorn the barbell. So with squats being such a popular exercise among lifters in various disciplines (Weightlifting, Powerlifting, CrossFit, Strongman, etc. 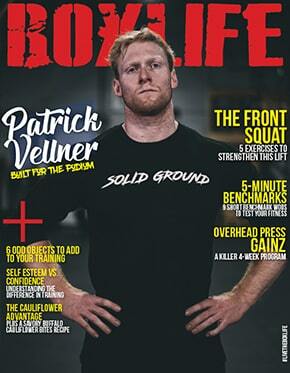 ), you won’t be surprised to learn that there are an abundance of squat training programs to choose from. So which one suits you best? This is a no-nonsense program (found in the 1976 USSR weightlifting yearbook) in which you squat three days a week, for six weeks. The first nine sessions have you progressively lift more volume while maintaining a load at 80% of your 1RM. The following nine brings the volume down while heading towards a new 1RM on your final day. 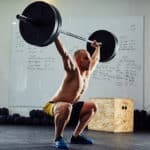 The program modestly claims that a lifter should experience a 5% minimum increase to their squat total, a goal that seems attainable for most people. The volume of this program is high, but thankfully it includes “easy sessions” of 6×2 at 80% every other day, and allows you to take a rest day between workouts. Furthermore, this is not a strict six-week program—you can miss a week and make up for it the following week. The relatively easy scheduling of the Russian Squat program allows an athlete to combine it with a general conditioning program, and the fact that it’s only 3 days of work a week means that it’s easy to plan around. This makes it a good option for a CrossFitter looking to break through a squatting plateau while still sticking to their regular box programming. You know that when a squat program is designed and named after a ‘Russian Master of Sports’ that it’s going to be seriously tough. Developed by Sergey Smolov, this particular program makes the bold claim that an athlete can increase their squat “by up to 100 lbs”. In reality, most people won’t be able to add 100lbs to their squat in the program’s timeframe (13 weeks), but this program doesn’t spare you on volume or intensity. The overall program is 13 weeks, split into five cycles. Contained within are more squats (can be used for front or back squats) at heavier loads than any other program, and as such it is designed for intermediate to advanced lifters—people who have been lifting for more than a year. 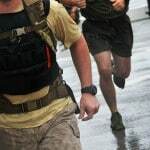 The first cycle begins with two weeks of prep before heading into a four-week base mesocycle phase, which requires you to squat with very heavy loads four times a week. Following that comes a two-week “switching phase” before you launch into another four-week “intense mesocycle”, where you only squat three times a week, but you’re going to be using 81-90% of your 1RM. This particular cycle is so devastatingly intense that some people use it as a program on it’s own—fittingly dubbed Smolov Jr. You end with a week to taper, before finally testing your new 1RM. Phew. As I mentioned, this is an incredibly tough program, so only experienced lifters with at least a year under their belt should give this a crack. 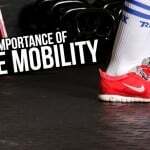 The program doesn’t allow much time for recovery, and people who have done the Smolov have been so spent from squatting that they don’t feel as if they need to do any other work in the gym. Lastly, you need to have enough time in your schedule to block off 13 weeks to train and not miss lifting sessions, which can be hard to do. 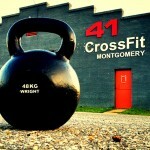 With that being said, the program can be tailored to better suit a CrossFitter’s schedule. There’s nothing stopping you from solely doing Smolov Jr, as it only requires you to squat three times a week while still being a tough program, and it allows for time to get in some WODs when (and if!) you feel capable. Developed by former University of Arizona Football player Jim Wendler, 5/3/1 is a four-week program in which you perform one session of squat (front and back) and assistance work per week, in addition to three other sessions throughout the week that are dedicated to three other core lifts. 5/3/1 is performed in waves. How this works is as follows: In week 1 (wave 1), you will perform 3 sets of 5 repetitions at 75% of your 1RM squat, then 80%, then 85%. In week 2, you perform 3 sets of 3 repetitions at 80%, 85% and 90%. Week 3 will be 3 sets of 5 repetitions at 75%, 85% and 95%. Finally, the fourth week will be a deload wave of 3 sets at 60%, 65% and 70% of your 1RM. When you are done with this four-week mesocycle, you can begin a new one by adding 10lb to your 1RM squat and recalculating your working numbers. If you ever get stuck in this program (which Wendler says will happen), you can drop to 90% of your current working 1RM, re-calculate and continue on. With the program only requiring you to squat one day a week, this allows for a great amount of time to recover, as well as perform any other accessory work or workout program you so desire. The intention of 5/3/1 is to have an athlete consistently break max lifts from one cycle to the next, and Wendler does not recommend ‘training’ more than two days in a row. However, he does recommend doing conditioning work whenever possible. Which means that you can tailor this program to suit your specific schedule (as well as your box’s) by performing 5/3/1 the day before a squat day at the box, then resting the following day, then jumping back into your regular programming for the rest of the week. Introduced by John McCallum in 1968, the 20-rep squat routine (2RSR) is one of the oldest lifting programs there is. It was originally coined “Squats and Milk” because old school lifters would drink a gallon of milk a day while on it. The routine has you squat three times a week for six weeks, with one set of 20 squats each workout. And it gets better—every time you perform the 20 reps, you’re expected to add 5lbs to the bar. To figure out your starting weight for this monster, start with your 5RM and subtract 5lb from every workout you will be doing in the six-week period. So if you plan to work out 3 times per week over 6 weeks, subtract 90 lbs to start. It might sound like madness, but by the end of the 6th week your goal is to squat your 5RM twenty times—as is the program’s design. Rich Froning and his crew at CrossFit Mayhem have been using this program, albeit with a few refining tweaks. Athletes at Mayhem are expected to use 60% of their 1RM for their initial 20-rep starting weight, and perform the routine only twice a week on Mondays and Thursdays. 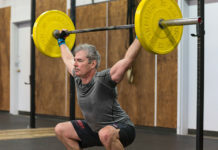 This program is credited with adding some serious muscle mass to any lifter, and the fact that you can play around with the frequency of the 20-rep session (as CF Mayhem has done) makes it a viable option to use within other types of full-body conditioning programing, which is common in CrossFit. Even though the original intention of the program was to perform 20-rep squats three times a week, you can tailor it to twice a week to allow for additional time to recover, as well as perform supplementary workouts at your box. If you want to get the full effect of the program, you may have to cut back on the amount of WODs that you do over a six-week period, but that’s a decision only you can make. 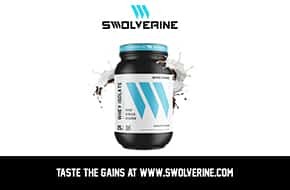 The Westside Barbell Conjugate Method originated at the famous Westside Barbell gym and was developed by world-renowned power lifter Louie Simmons. 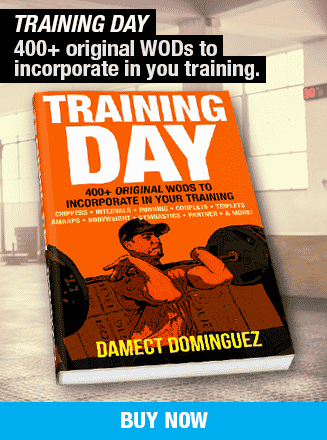 It is touted as one of the best weight lifting programs ever created for maximal strength gains. It uses a four-day rotation per week, with two days devoted to bench press and two devoted to squats (or deadlifts). For purposes of focusing on squat programs, we will tailor this program so that the athlete will solely be squatting (or deadlifting) twice a week, at least 72 hours apart. One of these days is dedicated to maximal effort training. On this day, the athlete will select a variation of the squat or deadlift (you must use a new variation each week) and work up to a 1-3 rep max. As I mentioned, you must perform a new variation of the squat/deadlift every week, and you shouldn’t perform the same variation for at least a six-week period. Possible variations could include altering the depth of the squat, using box squats, squats with chains, front squats and so on. The second day of the program will be dedicated to dynamic effort squatting and deadlifting. On dynamic effort day an athlete will first perform any variation of the box squat, performing 10-12 sets of 2 reps at 40-60% of your 1RM. After squatting, must choose any type of Deadlift variation and perform 6-10 sets of 1-3 repetitions using 60-85% 1RM. Dynamic effort deadlifts always comes after dynamic effort squats You will perform the same box squat and deadlift variation for 3 weeks in a row while progressively increasing the weight by about 5% each week. Upon completion of the 3rd week, you simply start the wave over again, recalculating the percentages according to your new 1RM. 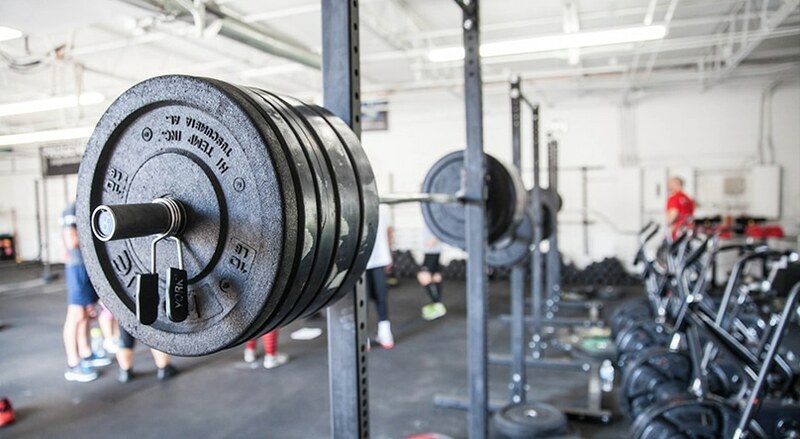 However, the most important thing to bear in mind when performing dynamic effort squats is not to focus on the amount of weight you are lifting, but the speed and explosive power at which you perform each rep. The beauty of this program is that there is no set end date—you simply perform the routine for as long as you desire, utilizing a new variation of the squat and deadlift when directed to do so. On top of this, the program encourages you to perform supplementary and accessory exercises after your maximal or dynamic effort training that target your weaknesses. This program is primarily a strength-building system, and prioritizes recovery through the use of dynamic training following an intense maximal effort training session. 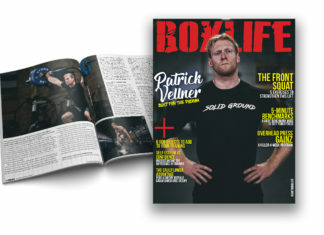 The fact that the workouts are programmed 72 hours apart is certainly helpful for a CrossFitter who wants to consistently seek steady improvements in their squatting (and strength) numbers, while simultaneously incorporating metabolic conditioning to maintain or improve their general fitness. The accessory work allows you to perform additional exercises the same day in order to build the muscle groups (posterior chain) that will assist you in the squat. Given that you only need to perform this program twice a week, it’s straightforward to model your CrossFit schedule to coincide with the conjugate method.